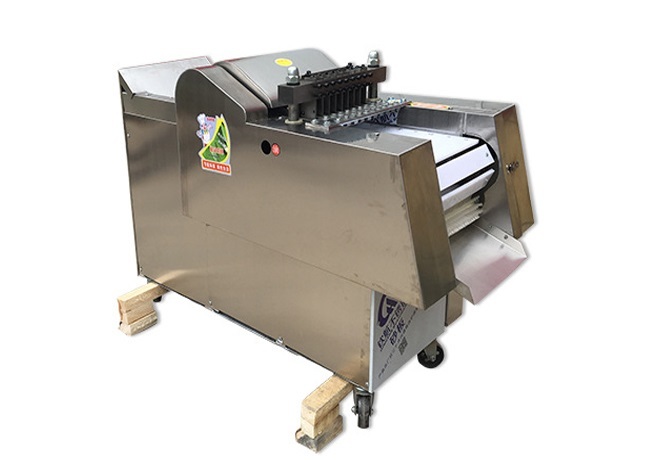 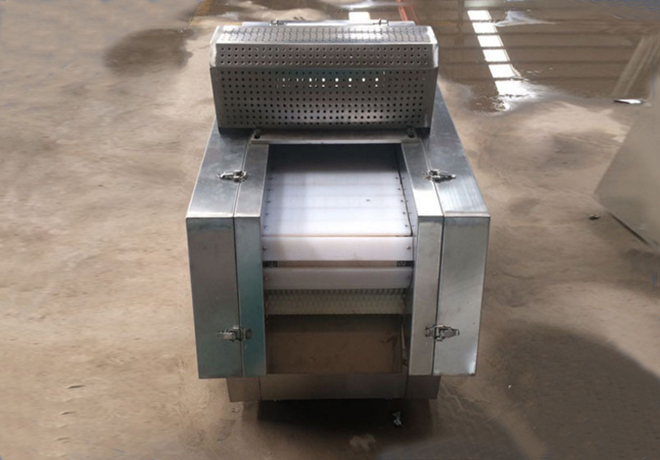 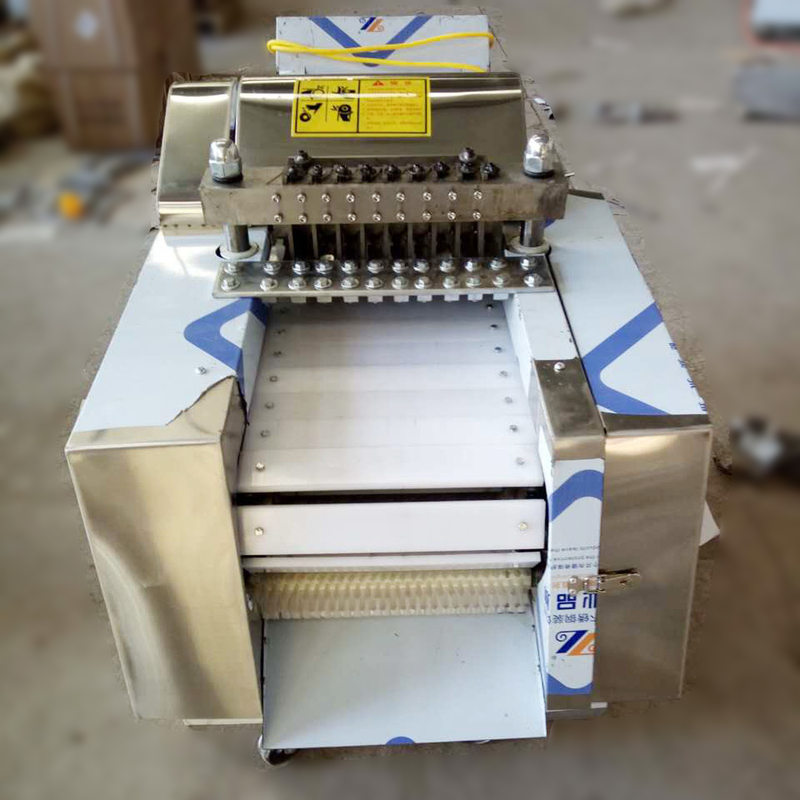 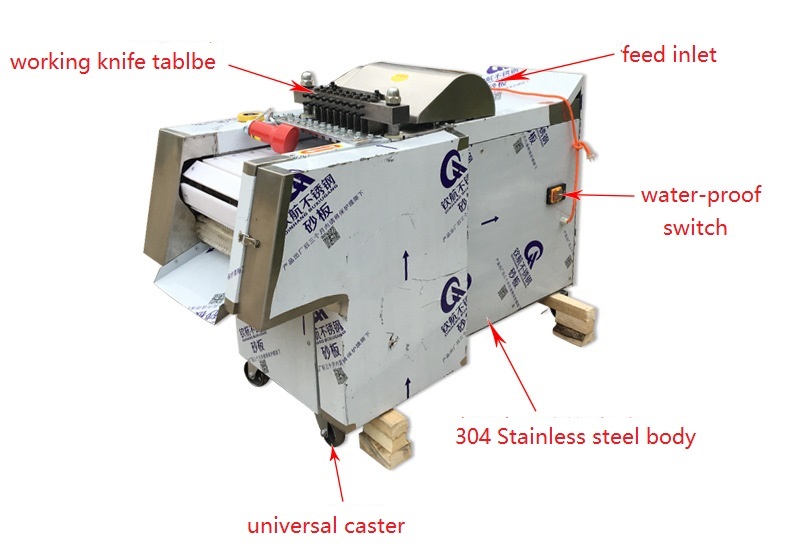 Continuous automatic chicken/frozen meat cutting machine could chop chicken, duck meat, small and medium animal bone, ribs, frozen meat, fresh meat, frozen chicken, chicken leg, etc., can be chopped lump, section, strip and others, shape/sizecould beadjustedaccording to need. 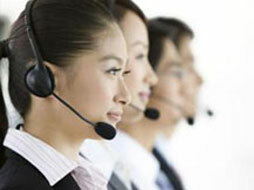 The machine is cost-effective and labor-saving. 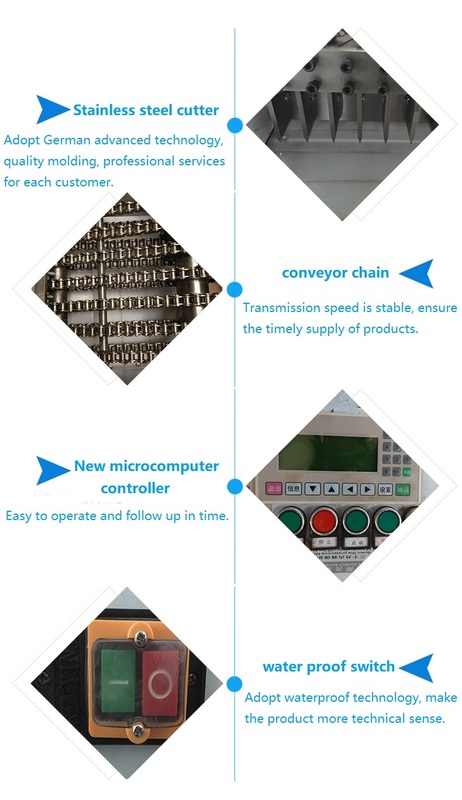 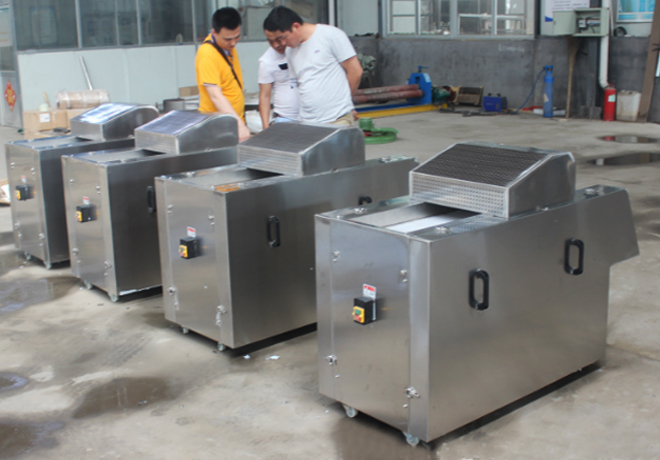 One machineequal to manyperson's work. 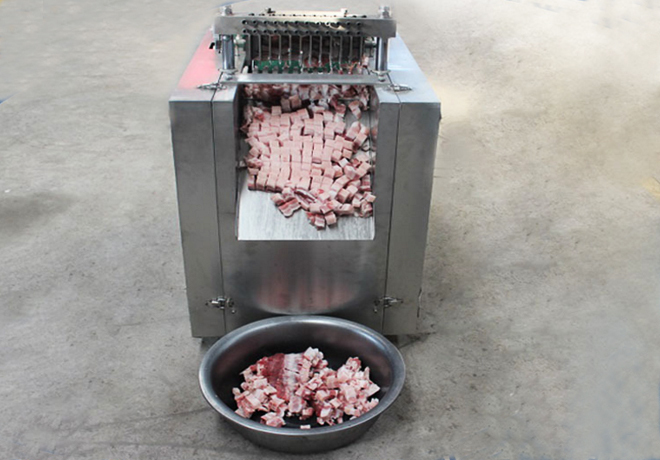 It can be chopped up to 500 kilograms per hour, which greatly improves the production efficiency.It is widely used in large and medium-sized food processing plants, collective canteens, slaughterhouses, meat joint processing plants, supermarkets, restaurants and so on.